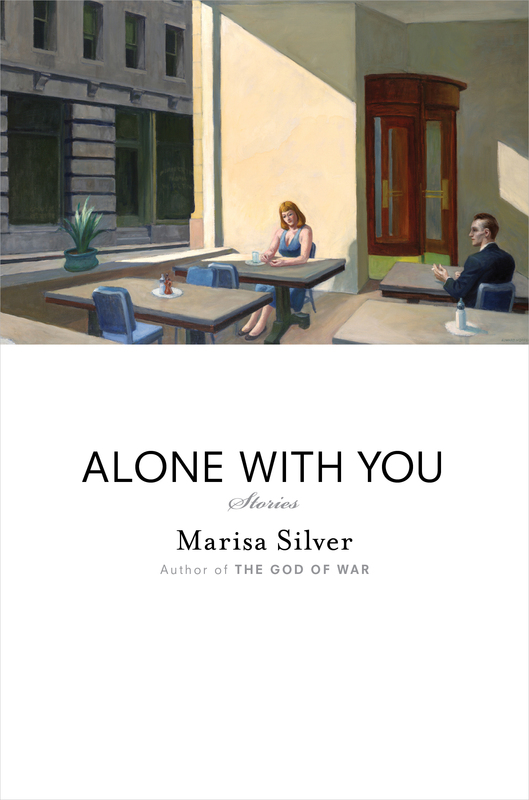 Marisa Silver dazzled and inspired readers with her critically acclaimed The God of War (a Los Angeles Times Book Prize finalist), praised by Richard Russo as “a novel of great metaphorical depth and beauty.” In this elegant, finely wrought new collection, Alone With You, Silver has created eight indelible stories that mine the complexities of modern relationships and the unexpected ways love manifests itself. Her brilliantly etched characters confront life’s abrupt and unsettling changes with fear, courage, humor, and overwhelming grace. In the O. Henry Prize-winning story “The Visitor,” a VA hospital nurse’s aide contends with a family ghost and discovers the ways in which her own past haunts her. The reticent father in “Pond” is confronted with a Solomonic choice that pits his love for his daughter against his feelings for her young son. In “Night Train to Frankfurt,” first published in The New Yorker, a daughter travels to an alternative-medicine clinic in Germany in a gambit to save her mother’s life. And in the title story, a woman vacations in Morocco with her family while contemplating a decision that will both ruin and liberate them all. From “Temporary,” where a young woman confronts the ephemeral nature of companionship, to “Three Girls,” in which sisters trapped in a snowstorm recognize the boundaries of childhood, the nuanced voices of Alone With You bear the hallmarks of an instant classic from a writer with unerring talent and imaginative resource. Silver has the extraordinary ability to render her fictional inhabitants instantly relatable, in all their imperfections. Her stories have the singular quality of looking in a mirror. We see at once what is familiar and what is strange. In these stirring narratives, we meet ourselves anew.